The myth of an "ageing society"
Societal ageing is generally detrimental to a country's economic health as it reduces workforce and increases burdens on healthcare systems. For the past two centuries, governments have approached demographic issues with the assumption that calendar years are an objective indicator of age. But with a rapid increase in lifespans over the past few decades, age is not what it used to be, and unless public policy reflects that fact, the dividends of longevity may be squandered. Economic doomsayers have long warned that the aging populations of industrial and post-industrial countries represent a “demographic time bomb.” Societal aging is bad news for the economy, they say, because it means that fewer people work and contribute to economic growth, and more people collect pensions and demand health care. The United Nations estimates that between now and 2050, the share of the population aged 60 and older will increase in every country. Though life expectancy tends to be highest in advanced economies, it is growing fastest in emerging markets. The number of people aged 60 and over in developing countries is currently twice that of the developed world. And the UN expects a three-to-one ratio by 2030, and a four-to-one ratio by 2050. The number of people over 60 looks set to increase dramatically by 2050. Within many countries, increased life expectancy and declining birth rates are pushing up the average age of the population. In Japan, the median age has risen from 26 in 1952 to 46 today. In China, it has risen from 24 to 37 over the same period, and is expected to reach 48 by 2050. The argument that aging will weaken these countries’ economies stems from what economists call the old-age dependency ratio (OADR) – the proportion of the population over 64, relative to the working-age population (those aged 15 to 64). If one assumes that old people are unproductive consumers of government benefits, then a rising OADR implies slower economic growth and mounting pressure on public budgets. But what if this assumption is mistaken? Governments are concerned about your age not because they want to know how many candles to buy for your birthday cake, but because it affects productivity and health-related spending. And if those are the factors that really matter, then the changing conditions of aging are far more relevant than the share of the population that has reached some arbitrary threshold of years on the planet. The concept of “aging” is not as straightforward as it seems. Obviously, aging has a chronological component, expressed in the straightforward question: “How old are you?” But it can also be viewed in terms that are biological (“You look good for your age”), subjective (“You are as old as you feel”), and sociological (“You shouldn’t be doing that at your age”). Policymakers’ sole focus on chronological age is a 200-year-old artifact from the era when governments first started keeping reliable birth records. If the various dimensions of aging could be embodied in a single immutable concept, focusing on a benchmark such as chronological age would not be a problem. Yet the biological, subjective, and sociological components of aging are not immutable. On the contrary, their relationships with one another have shifted over time. 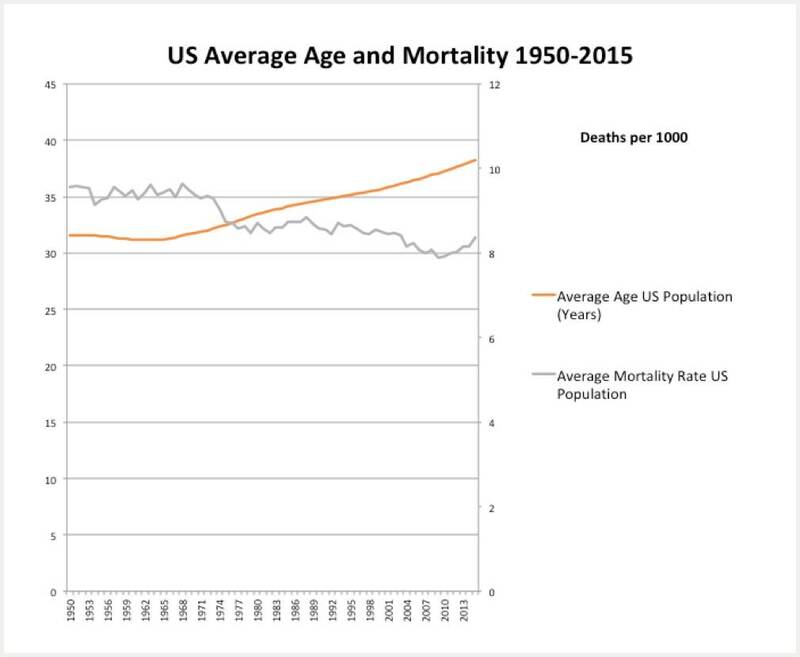 Figure 1: The average age of the US population is steadily rising, whilst mortality shrinks. As Figure 1 shows, the average age of the US population has steadily increased since 1950, but the average mortality rate has trended down. In other words, the average US citizen has become chronologically older but biologically younger. She is further along in years from her date of birth, but also further away from her probable expiration date. And the same trends can be found in other advanced economies, including the United Kingdom, Sweden, France, and Germany. Given the decline in average mortality, one cannot say unambiguously that these societies have aged. Average mortality rates are driven by two factors, only one of which could properly be called “aging.” As countries industrialize, they undergo a “demographic transition” from higher to lower birth rates. This shift implies that older cohorts of the population will increase in size, and that average overall mortality will rise, because mortality rates are higher for older people. But over the past few decades, this aging effect has been offset by a “longevity effect”. Owing to medical advances and other factors (for example, lower rates of smoking), mortality rates at all ages have fallen. In actuarial terms, this means that people are younger for longer. Whereas the aging effect captures changes in the age distribution, the longevity effect addresses how we are aging. And in a country like the US, where the average age has increased while average mortality rates have fallen, it is clear that the longevity effect has more than offset the aging effect. The balance between aging and longevity has broad economic implications. The aging effect centers on all of the negatives associated with the “demographic time bomb” narrative. But the longevity effect is a decidedly more positive phenomenon. If people are leading longer, more productive lives, they can make a larger lifetime economic contribution than members of past generations ever could. Figure 2 shows how the aging and longevity effects have affected average mortality in Japan and the US since 1950. Both countries have experienced significant declines in average mortality rates as a result of the longevity effect, but also increases in mortality rates due to the aging effect. But, whereas longevity has dominated aging in the US, the opposite has happened in Japan. Since 1980, Japan has been experiencing both an increase in average age and an increase in average mortality, even though its longevity gains are cumulatively greater than in the US. This difference has its roots in the period after World War II. Japan’s rapid post-war growth produced an equally rapid demographic transition. But this led to a precipitous decline in its average birth rate, and to a dramatic restructuring of its age distribution. As a result, the aging effect rapidly outpaced the longevity effect. By contrast, the US experienced sustained but slower economic growth, and thus a slower demographic transition. Still, it is worth noting that the average US mortality rate has begun to tick back up alongside average age. This may reflect the increase in midlife mortality among less educated white Americans that economists Anne Case and Angus Deaton have identified. At any rate, the demographic difference between the US and Japan has obvious implications for developing economies. Countries that have grown the fastest have also experienced more sudden demographic transitions, and thus may suffer from a strong aging effect that will need to be offset by increased longevity. The longevity effect is essentially a measure of how biological aging has changed in relation to chronological age. One consequence of this change is that the standard chronological measure of age makes less sense than ever. The divergence between biological and chronological age points to a familiar problem in economics: the confusion between nominal and real variables. A pint of beer that cost $0.65 in 1952 costs $3.99 today. Has beer become more expensive? In a sense, the answer must be yes: I have to pay more money to buy a pint in 2018 than I would have paid in 1952. But that is not the answer an economist would give. To compare prices accurately across time, one must adjust for inflation. And what one finds is that beer has actually gotten cheaper: the real (inflation-adjusted) price of a pint in 1952 was the equivalent of $5.93 in today’s money. A similar problem occurs when one relies wholly on calendar years and a chronological conception of age. In the US, a 75-year-old today has the same mortality rate as a 65-year-old in 1952. Similarly, in Japan, 80 is the “new 65.” As an actuarial matter, then, today’s 75-year-olds are not any older than the 65-year-olds of the 1950s. As with the price of beer, one can use changes in mortality rates to adjust for “age inflation” and determine an average real mortality age. In doing so, one finds essentially no increase in average “real” (mortality-adjusted) age in the UK, Sweden, or France, and barely any increase in the US. Japan, however, has witnessed a sharp rise in its average real age, from 31 to 44 years (in year-2000 terms). That is a big increase (though it is still significantly less than the nominal increase from 26 to 46 years). Mortality-adjusted indicators of aging provide a radically different perspective on what is happening to OADRs in advanced economies. When using chronological age, the OADRs in the US, the UK, France, and Sweden have all been increasing; but in mortality-adjusted terms, they have all actually declined. The exception, once again, is Japan, where the dominance of the aging effect has resulted in a higher real OADR. From this perspective, one can see the flawed assumptions underlying the conventional “demographic time bomb” narrative, which makes no distinction between aging and longevity effects. If one assumes that there is only an aging effect, a rapidly aging society bodes ill indeed. But if one recognizes the role of longevity, the picture becomes much brighter. Nominal age fails to capture the information underpinning the decline in mortality rates. What is needed is a more nuanced approach that reflects the multidimensional aspects of aging. And while the mortality rate provides additional information, it, in turn, is not the same as morbidity, healthy life expectancy (years spent in good health), or rising health inequalities. As with chronological age, the relationship between these different concepts is shifting. In fact, the conditions of modern aging are strikingly diverse. Although the average person now lives a longer, healthier life, that does not hold true for everyone. Behind the average health figures are noticeable differences based on income, education, genetics, lifestyle, and environment. And as more people advance in years, these disparities will become increasingly obvious. To manage current demographic trends, governments will need to design policies aimed at both aging and longevity. All countries still need programs to support those who are aging in a traditional sense; but there is also a growing need for more flexible policies to help older workers reap the benefits of longer, more productive lives. Increasing the official retirement age – one of the most common policy responses to the “aging society” problem – does not advance these other goals. And for those not benefiting from longer, healthier lives, it amounts to a cruel, retrograde intervention. To capitalize on the boon offered by longevity, governments need to develop policies to help older, still-productive citizens find full-time employment or more flexible work arrangements. Unlike aging, longevity opens the door for policies that go well beyond end-of-life issues. Significantly longer lives, the twentieth-century historian Peter Laslett observed, invite us to draw up “a fresh map of life” itself. Just as developments in the twentieth century gave shape to new, discrete life stages in the teenage and retirement years, twenty-first-century lifespans are creating the space for even more life stages to emerge. To maximize the advantages of longevity, we will need to rethink both education and traditional career paths, while ensuring that today’s younger generations live as long and as healthily as possible. Advances in anti-aging technology could prove particularly useful for countries suffering from the aging effect, so governments would do well to support R&D in this area. Unlike the US and Western European countries, which can probably help their Baby Boomers adjust to longer, more productive lives through smart reforms, developing countries with rapidly aging populations will need to make significant investments in longevity to offset the effects of aging. Japan, Singapore, and South Korea have already made large investments in automation and robotics to make up for lost productivity in their aging workforces, and it is only a matter of time before they become heavily involved in longevity research, too. Although every country will experience an increase in its average age over the next few decades, the balance of forces driving this trend will differ from country to country. For countries that underwent a rapid demographic transition, the aging effect could dominate longevity and pose serious economic and social challenges. By contrast, countries where the longevity effect is already dominant will have vast economic and social opportunities before them. In either case, a broad range of new policies will be needed. But first, we must move away from nominal measures of age that treat older people as a problem. It is time to stop worrying about “aging societies” and start focusing on the type of demographic change that really matters. Governments should provide those in a position to reap the benefits of longer, healthier lives with opportunities to do so, while minimizing the number of people who are denied longevity. By investing in a longevity dividend, we can reduce the threat of an aging society.